Jeff Bailey (Robert Mitchum) is living a quiet life, running a gas station in a small town. But then a stranger drives his car into town, and everything changes. It seems that someone from Jeff's past wants something from him, and so Jeff tells his girlfriend, Ann (Virginia Huston), about his shady past. Years ago, Jeff had been hired by Whit Sterling (Kirk Douglas) to find his lady friend, Kathie (Jane Greer), who had shot him and ran away with 40,000 of his dollars. Jeff tracks Kathie to Mexico, meets her in a bar, and the beautiful lady helps him forget all about bringing her back to the States. The two lovers are eventually forced to part ways, and Jeff soon learns that Kathie had returned to Sterling. Now, Sterling wants Jeff to do one simple job, so that they're square, but Jeff suspects that it might be a frame. Jacques Tourneur, who'd directed some of the Val Lewton-produced films, Cat People (1942), I Walked with a Zombie, and The Leopard Man (both 1943), helmed this movie. Many of the Val Lewton movies were covered in shadow, with the terror merely hinted. This was for budgetary reasons, but it helped immensely to heighten the suspense. Tourneur employs a similar technique in Out of the Past (1947), in this case with a thematic purpose. All that Jeff has left behind is creeping back into his life. The shadows begin to represent impending doom for Jeff, so that it's not only a reference to the title, but is almost a literal interpretation of the man's "shady past." When we first see Jeff, he's fishing by a pond, in the bright of day. 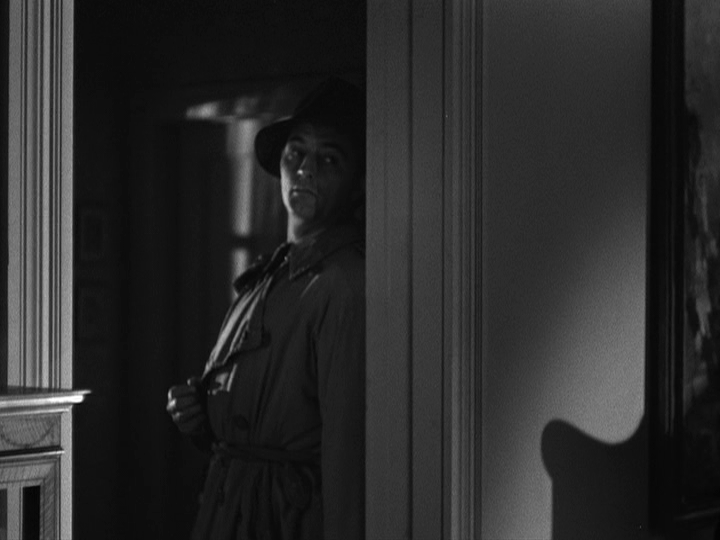 By the time he tells his story to Ann, he's partially hidden in shadow, where he spends the majority of the film. When Jeff is introduced in the flashback, he is wearing a dark overcoat. It was a time when he was a part of the seedy underworld, and he fits right in with the disreputable Whit Sterling. The refurnished Jeff, the man who fishes and owns a gas station, is adorned in a much lighter trenchcoat. It hints at a change in the man, but this is immaterial when he is hiding in the dark, continually stepping into the shadows when trying to uncover Sterling's scheme. It's almost as if Jeff is stepping back into his old role. He must return to his past, become who he used to be, to expose the frame-up. Despite his new life with Ann, Jeff seems more comfortable as his darker self. When Jeff sees that Kathie is with Sterling again, she comes to his room later to explain herself. Jeff tells her simply, "Let's just leave it where it all is." But even Jeff knows that cannot happen. This is why he goes to see Sterling without an argument, why he takes the job offered to him, knowing full well it's more than likely a setup. It's a basic belief in penance. Jeff walks back into the past to face whatever consequence awaits him. The lighting in Out of the Past helps shape the film's story and people. 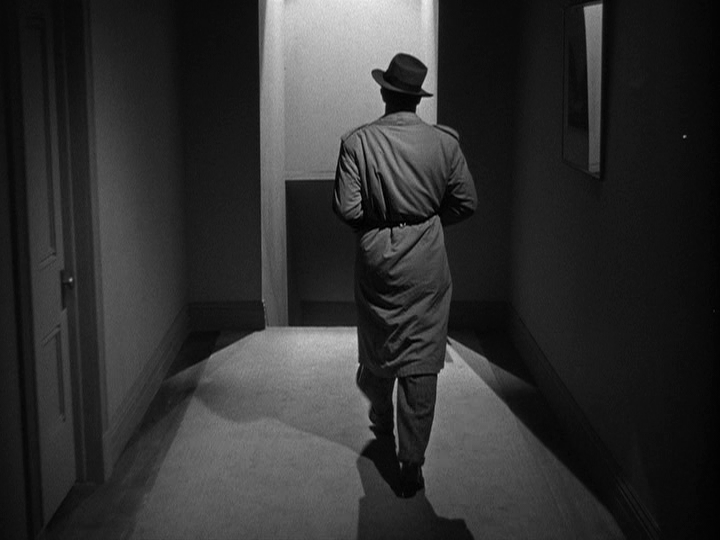 Heavy contrasts, like the infamous sequence in which Jeff walks down a hallway (after stealing evidence implicating Sterling), clearly express the world in which the characters reside. The brighter the lights, the deeper the shadows, and the easier it is to lose oneself in the dark. Cinematographer Nicholas Musuraca had worked with Tourneur previously on Cat People. He'd also photographed other Val Lewton movies, such as The 7th Victim (1943) and The Curse of the Cat People (1944). "Your, uh, cousin is a very charming young lady." "No, he isn't. His name is Norman, and he's a bookmaker in Cleveland, Ohio." The performances in Out of the Past are flawless. 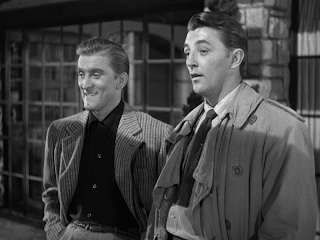 The lazy-eyed Mitchum is unparalleled as Jeff. His lines flow from his lips like water from a faucet. The beautiful Jane Greer is the quintessential femme fatale. Her performance is so strong and alluring that it's easy to see why Jeff is such a sucker for her. 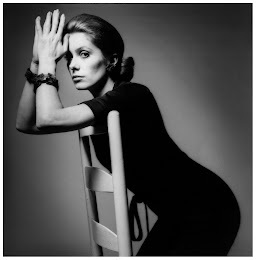 You want to see more and more of her, in spite of knowing what her presence means. Douglas is equally solid as Whit Sterling. He spends so much of the film smiling that you can't help but assume that his charm is genuine. In one incredibly effective scene, he approaches Kathie, and just as she enters the frame, Sterling slaps her. Greer's reaction makes you wonder if the slap was unexpected, but more than anything, it makes Sterling a terrifying menace. Even Fleming, in the small role as Meta, is noteworthy. In essence, she is the other femme fatale, but she is so appealing that her association with the bad guys is a trait that can readily be forgiven. Out of the Past was remade in 1984 as Against All Odds starring Jeff Bridges and Rachel Ward. Greer played the mother of Ward, who was portraying Greer's '47 character. Paul Valentine, who made his film debut in Out of the Past as Sterling's crony, Joe Stephanos, also had a small role in the '84 remake. 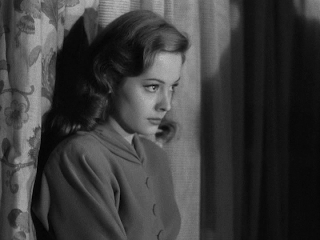 Out of the Past is often cited as a prime example of the film noir genre. 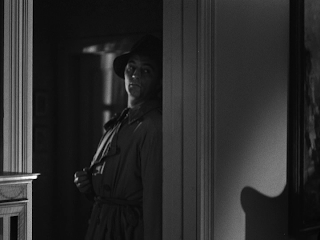 Tourneur's film is dramatically sound, and at times romantic, suspenseful, and just plain cool. 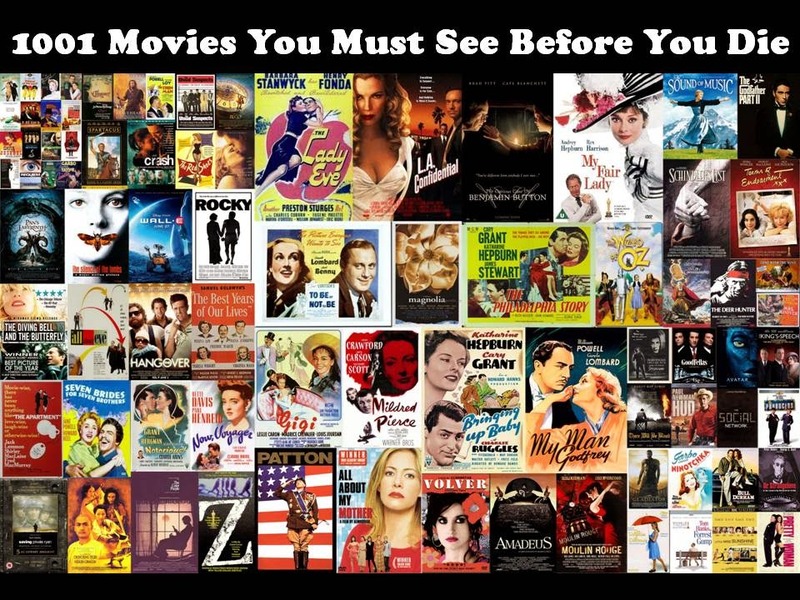 So many separate elements come together to form a memorable film. And, just like Jeff and the movie's seemingly endless shadows, it's easy to lose yourself in a dark, somber world.